Extreme Transmission Rebuilders' repair services are not limited to privately owned vehicles. We also work with commercial highway vehicles, mining machinery, and industrial equipment to keep Saskatoon business operations running smoothly. From retail stockrooms to construction companies, forklifts are used on a daily basis to transport and organize goods. 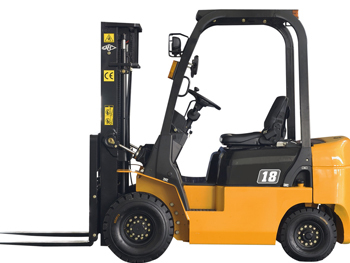 We’ll make repairs to any type of forklift in a quick efficient manner to minimize downtime. Scissor lifts are used in several environments from construction sites to window washing, painting, roofing, and more. We offer transmission repair on all these units. Extreme Transmission Rebuilders works with all types of industrial equipment to make the repairs and replace the parts needed to take care of business. Extreme transmission works with all types of industrial equipment to make the repairs and replace the parts needed so you can keep taking care of business. Every industry from food service to furniture delivery uses semi-trucks to transport and supply goods. When your truck breaks down, so does your workflow. Extreme Transmission Rebuilders will quickly repair commercial semi-trucks, along with other highway vehicles to minimize the loss of production. We offer transmission repairs and rebuilding for Fuller, Meritor, Eaton, 8-18 speed, and auto shift as well as differential repairs on Eaton, Rockwell, Mercedes, Meritor, and Spicer single and 2 speed. We offer fast efficient service to minimize downtime. We have been repairing mining transmissions differentials and torque converters for 25 years-Clark, Clark Hurth, Mine Cat, Toyota, and Carraro, and more. We realize time is money and once again provide quick efficient service.